So Bad it’s Good?? Maybe Not! Yesterday I took my youngest daughter to the dentist and rather than wait 45 minutes in the waiting room, I walked to a Goodwill nearby just to take a peek and kill some time. So in the Goodwill I meandered. Perused the artwork, books and tchotchkes. Picked up a few things. Put them back down. 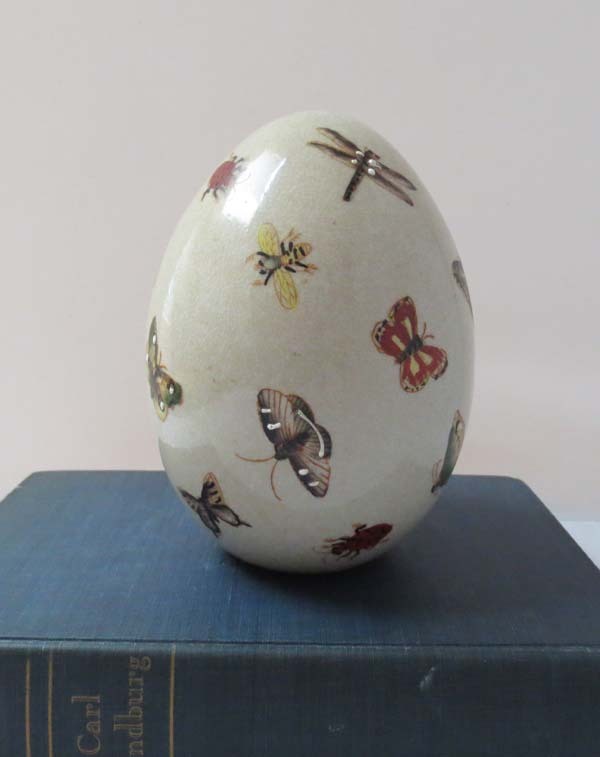 Then I picked up this big egg-shaped ceramic thingy with hand-painted butterflies, bees, dragonflies and ladybugs. It was so obviously ridiculous and pointless and weird. And yet, I didn’t put it down. I walked around the store cradling this “objet d’art.” I cradled it right up to the checkout counter and bought it!!! And this is how bad it was…it had been marked down, rejected by dozens of other shoppers and pickers. Worse yet, at home I removed the price tag and threw it away so now I can’t return it. Why? Why? Why? I like to think of myself as a person of good taste (well, who doesn’t? ), so I am going to call this purchase a momentary lapse. A brain blip, if you will. 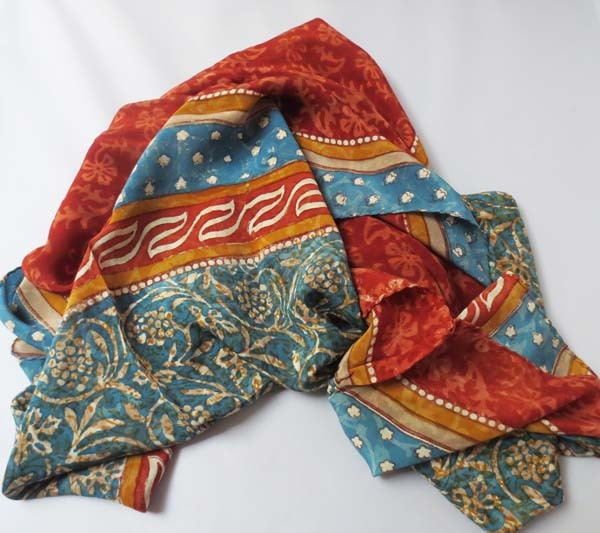 My one true find at Goodwill yesterday was a beautiful, long silk scarf in perfect condition for $3.29 that I’m keeping for myself. These are great colors for me. 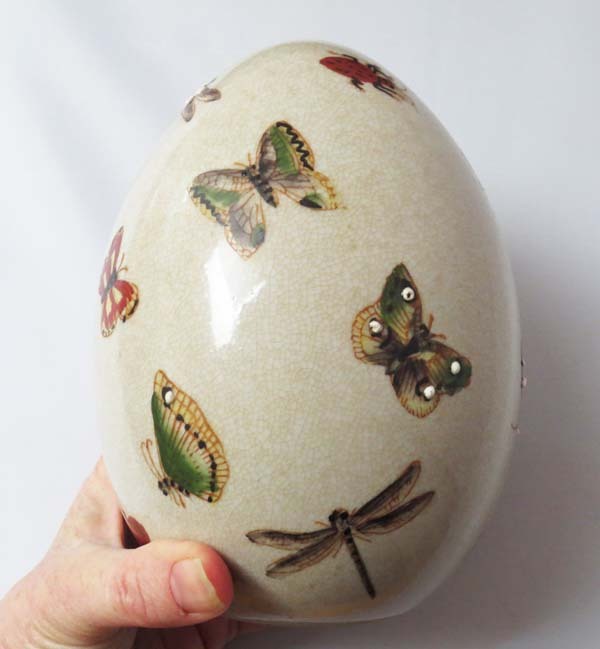 But, here’s the question…should I bother even listing the egg thingy in my store? Who would buy this? Or should I just donate it? What would you do? ?